Novelist and poet; born in Rathgar, Dublin in 1882, to May and John Stanislaus Joyce, a middle-class Catholic who later had a serious financial problem, which made them move from the South Side of Dublin to the North Side; they moved from house to house so many times (see the "Joyce's Dublin Houses" page). Joyce was educated in Clongowes Wood College (Jesuit), the Christian Brothers, Belvedere College (Jesuit) and the Royal University at St Stephen's Green (now University College Dublin). On 10 June 1904, Joyce met Nora Barnacle from Galway who was working as a chambermaid at Finn's Hotel, Nassau Street, Dublin. Joyce and Nora first walked out on June 16, 1904 when he later chose it as the day of Ulysses (1922), now widely called "Bloomsday." On 8 October Joyce left Dublin, the Hibernian paralyzed Catholic Metropolis as he claimed, with Nora for a teaching post in Paris which was not available on his arrival. Then they went to Zurich, Switzerland and Trieste, Italy to find a teaching job at the Berlitz School in vain but finally he found one at the Berlitz School, Pola, Croatia (see the "Trip to Pola" page). After spending about five months there, they moved to Trieste where they had two children, Giorgio in 1905 and Lucia in 1907, and remained for ten years (see the "Trieste and Joyce" page). They had to migrate from flat to flat, because of Joyce's low income from teaching English at the Berlitz School, his bad drinking habits and spendthrift. For a time he went to Rome to work for the foreign department of a bank between August 1, 1906 - March 5, 1907, but he thought that Rome, a tourist center, was not a good place to live and bankwork was detestable for him: so he returned to Trieste and began to work as a private English teacher. In Trieste, he wrote many stories of the short-story collection, Dubliners (1914), *Stephen Hero (1944) which was later greatly revised to publish as A Portrait of the Artist as a Young Man (1916), and wrote some episodes of Ulysses, and so on. The outbreak of the First World War forced the Joyces to move to Zurich, Switzerland, the neutral state where he continued to write Ulysses. After the war, they once went back to Trieste and stayed for eight months before moving to Paris on Ezra Pound's advice on 8 July 1920. Joyce soon met Sylvia Beach, an American lady who ran Shakespeare & Company Bookshop, 12 rue de l'Odeon, Paris (see the "Paris and Joyce" page) and offered to publish Ulysses under her bookshop imprint. The book appeared in time for Joyce's 40th birthday, 2 February 1922. In autumn 1922 he began to prepare for a new novel, which was later fragmentally published in the transition under the name of Work in Progress, which finally published as Finnegans Wake in 1939. Joyce gained a great fame in Paris with his literary works, especially Ulysses and seems to have enjoyed his life there, although he greatly worried about his daughter Lucia's schizophrenia and his serious eye disease in 1930s. The Second World War, however, compelled the Joyces (all except Lucia in sanatorium) to move to Zurich again with special visas in December 1940. On 10 January 1941, Joyce was attacked by great stomach pains and carried to the Schwesterhaus vom Roten Kreuz hospital, where he died of a perforated duodenal ulcer near pylorus (fibrous peritonitis) on the night of 13 January; he was buried in the Fluntern Cemetery without religious ceremony (see the "Zurich and Joyce" page). Throughout his life Joyce continued to describe his native city Dublin where he left for his literary ambition because he loved Dublin most abroad. As a Modernist writer he developed numerous literary techniques including the "stream-of-consciousness" in his novels, especially A Portrait of the Artist as a Young Man and Ulysses, and he also left one Ibsenian drama, Exiles (1919), two collections of conventional lyrical poems, Chamber Music (1907) and Pomes Penyeach (1927), and two prose works, Epiphanies (1956) and Giacomo Joyce (1959), etc. He attempted to allude to all kinds of literary works and historical events, tried to absorb all kinds of religious and philosophical teachings and parodied many in his texts. Although he could use many languages fluently including French, German, Italian, Greek, Norwegian, etc., he always used English as his principal language in his works while he deconstructed English and created the "Joycean language" based on English assimilating more than 70 languages around the world in his last novel Finnegans Wake. For more Joycean pics, go to the JOYCEAN PICS by Eishiro Ito: General Index page. "The Japanese Effect or Haiku on Irish Literature." The Katahira: Studies in English & Literature, Vol. 54. The Katahira Society, March 2019. "Joyce, Kurosawa and Star Wars: 'monomyth' (FW 581.24)." The Katahira: Studies in English & Literature, Vol. 53. The Katahira Society, March 2018. "Joyce to the World and Murakami to the Globe." The Katahira: Studies in English & Literature, Vol. 52. The Katahira Society, March 2017. "'Reconciliation between Joyce and Yeats at the Noh Theatre." The Journal of Policy Studies, Vol. 18, No. 2. Policy Studies Association, Iwate Prefectural University, March 2017. The Katahira: Studies in English & Literature, Vol. 51. The Katahira Society, March 2016. "Joyce and Salinger: A Study of Their References to Buddhism." James Joyce Journal, Vol. 21, No. 2. The James Joyce Society of Korea, Winter 2015. "'Awareness of Asianess of Irishness: Joyce among Irish Orientalists." The Journal of Policy Studies, Vol.15, No. 2. Policy Studies Association, Iwate Prefectural University, March 2014. "Asia was, Laozi is, Plurabelle to be: China and Japan through Joyce’s 'Cracked Lookingglass..'"
Comparative Literature & World Literature, Vol. 4. The Chinese Comparative Literature Association, Peking University Press, China, December 2013. "'A Suave Philosophy': Reconciling Religious Identities in Joyce's Works ." The Journal of Policy Studies, Vol. 15, No. 1. Policy Studies Association, Iwate Prefectural University, November 2013. "Three Hybrid Japanese Joyceans: Ryunosuke Akutagawa, Sei Ito and Haruki Murakami." James Joyce Journal, Vol. 18, No. 2. The James Joyce Society of Korea, Winter 2012. 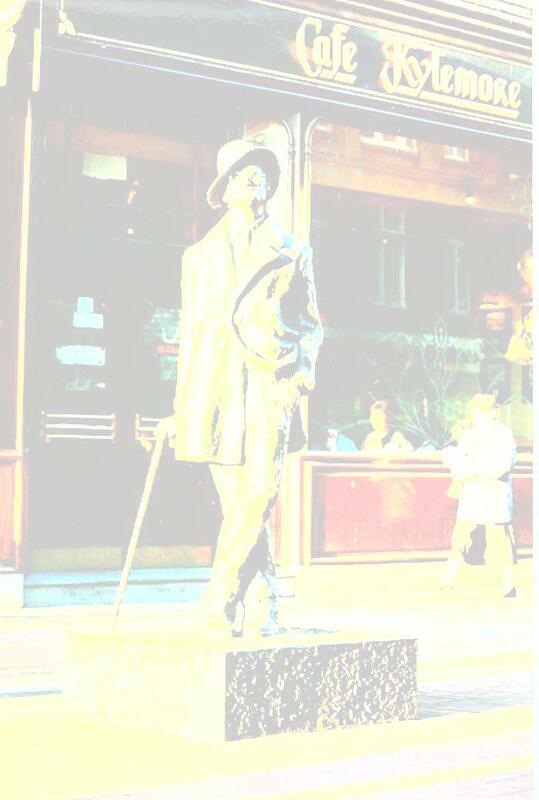 "Depicting Dublin with Israelite and Islamic Elements: James Joyce's Transnational Modernity." The Journal of Policy Studies, Vol. 13, No. 2. Policy Studies Association, Iwate Prefectural University, May 2012. "'Bonzour' 'Mousoumeselles': Joyce and Japonisme." The Katahira: Studies in English & Literature, Vol. 47. The Katahira Society, March 2012. "Journey to the Far East: Reading Joyce in the Jesuit Context Featuring St. Francis Xavier." James Joyce Journal, Vol. 16, No. 2. The James Joyce Society of Korea, Winter 2010. "'United States of Asia' (VI.B.3.073): A Postcolonial Reception of James Joyce and Japan." James Joyce Journal, Vol. 12, No. 2. The James Joyce Society of Korea, Winter 2006. The Journal of Policy Studies, Vol. 7, No. 2. Policy Studies Association, Iwate Prefectural University, February 2006. "Nationalism in Ulysses and Kenji Miyazawa's Works." Iwate Prefectural University, Japan, January 2005. "How Did Buddhism Influence James Joyce and Kenji Miyazawa?" Iwate Prefectural University, Japan, January 2004. "Mediterranean Joyce Meditates on Buddha." Iwate Prefectural University, Japan, January 2003. Mapping 'Convergence' in Japanese Culture in East Asia." Rethinking "Convergence" in English Language and Literature." The English Language and Literature Association of Korea, Winter 2012. 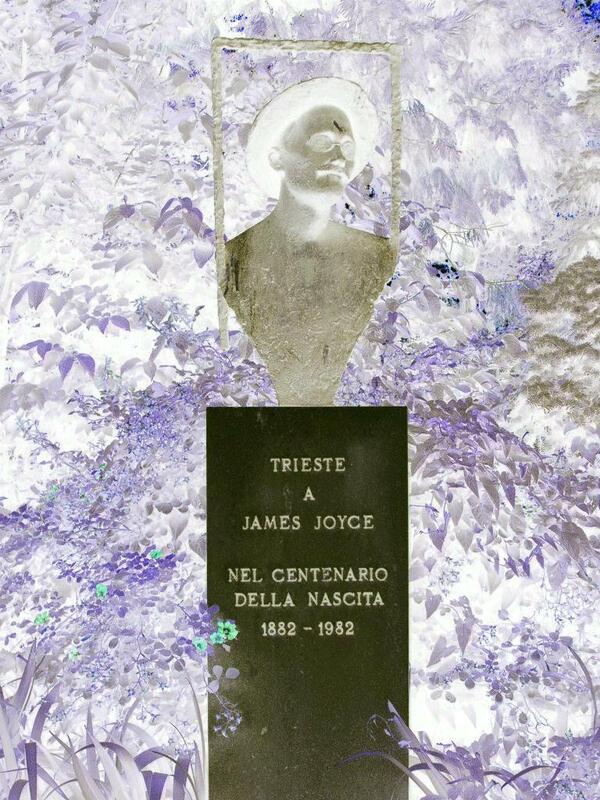 "Two Japanese Translations of Finnegans Wake Compared: Yanase (1991-1993) and Miyata (2004)." James Joyce Journal, Vol. 10, No. 2. The James Joyce Society of Korea, Winter 2004. "The Japanese Elements of Finnegans Wake: 'Jishin, Kaminari, Kaji, Oyaji.'" Joycean Japan, No.15. The James Joyce Society of Japan, June 2004. *"In the buginning is the woid." Joycean Japan, No. 13. The James Joyce Society of Japan, June 2002. Joycean Japan, No. 9. The James Joyce Society of Japan, June 1998. "Listening to the Flow of the Anna Livia--Joyce's Reading and Ogden's English Version--." Joycean Japan, No. 7. The James Joyce Society of Japan, June 1996. James Joyce Journal, Vol. 14, No. 2. The James Joyce Society of Korea, Winter 2008. "'And I belong to a race that is hated and persecuted': Anti-Semitism in Ulysses." The Journal of Policy Studies, Vol. 9, No. 2. Policy Studies Association, Iwate Prefectural University, March 2008. "Diaspora Jews in Joyce's Dublin: Irish Jewish Lives Described in Ulysses." Center for Liberal Arts Education and Research, Iwate Prefectural University, January 2008. "The Impact of Ulysses on Japan" (short introduction). "Is Leopold Bloom a Jewish Freemason?" The Journal of Policy Studies, Vol. 3, No. 2. Policy Studies Association, Iwate Prefectural University, December 2001. "The Phoenix Park Murders & Stephen's Parable of the Plums: An Analysis of 'Aeolus.'" The Journal of Policy Studies, Vol. 2, No. 3. Policy Studies Association, Iwate Prefectural University, December 2000. 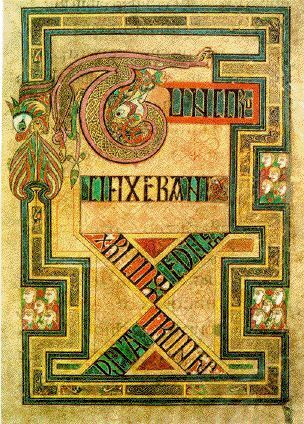 "'I am the insurrection and the life': Reading Irish Nationalism in the 6th Episode of Ulysses." The Journal of Policy Studies, Vol. 1, No. 4. Policy Studies Association, Iwate Prefectural University, December 1999. "The Nameless Narrator and Nationalism: A Study of the 'Cyclops' Episode of Ulysses." The Harp, No.12. IASIL JAPAN, September 1997. "Poldy & Molly--the queer breakfast scene--." The Katahira: Studies in English & Literature, Vol. 31. The Katahira Society, March 1997. "Hamlet pere and Hamlet fils: A Study of 'Scylla and Charybdis.'" Central Japan English Studies, Vol. 15. The English Literary Society of Japan, Chubu, March 1996. "The Language of Mr Flower: An Anatomy of 'Lotus-Eaters.'" Collected Treatises Hamamatsu Tanki Daigaku, No. 49. Joycean Japan, No. 4. The James Joyce Society of Japan, June 1993. An Analysis of the 'Proteus' Episode." The Graduate School of Tohoku Gakuin University, January 1992. "Reading Ulysses as a Satirical Novel: 'The Cracked Lookingglass' and Necrophilia." The Graduate School of Tohoku Gakuin University, January 1990. "On 'Dogs' of James Joyce's Ulysses." The Graduate School of Tohoku Gakuin University, December 1988. An Essay on the Autobiographical Elements of 'A Painful Case.'" The Katahira: Studies in English & Literature. The 30th Anniversary Issue. Tokyo: Kinseido, March 1996. "'Two Gallants,' Wandering in Dublin: A Topographical Study." Collected Treatises Hamamatsu Tanki Daigaku, No. 48. "James Joyce's 'The Sisters': Tenebrism and Prisms of Telling." Collected Treatises Hamamatsu Tanki Daigaku, No. 46. JOYCEAN NOTES BY EISHIRO ITO *Some files include Japanese fonts. "YouTube": Search Results for "James Joyce"
IASIL 2019 (43rd annual conference): "The Critical Ground"
James Joyce Quarterly: JJQ blog "Raising The Wind"
Copyright (c) 2000-2019 Eishiro Ito. All rights reserved.